OPN: Tell us a little about your background and education in diagnostic and therapeutic applications? MS: At a top level, I have a background as a physicist, engineer, clinical researcher and entrepreneur. In total, I’ve spent more than 30 years in engineering, developing and manufacturing more than 70 commercially successful products, ranging from electron beam and laser instruments to a variety of ultrasonic systems. I achieved a MS in Quantum Radiophysics and a PhD in Electrical Engineering from Kiev State University and USSR Academy of Sciences. These respectively helped to provide me with an extensive background on diagnostic and therapeutic applications. Prior to founding Guided Therapy Systems, I was the Vice President of Advanced Development and a board member for Dornier MedTech GmbH (a Daimler BenzCompany). This has all contributed to the development and founding of Guided Therapy Systems – a company that develop products that combine ultrasound imaging with intense therapeutic ultrasound. This offers physicians the unprecedented ability to image and treat with the same equipment, thus targeting and evaluating tissue prior, during and after a procedure. OPN: Could you explain more about the new ‘invisible scalpel’ that uses intense therapeutic ultrasound, and tell us more about how it was developed? MS: The technology behind Actisound, intense therapeutic ultrasound, was originally developed for a medical device designed to destroy non-resectable liver tumours. We’ve also used intense therapeutic ultrasound technology for aesthetic devices through the creation of Ulthera, the only energy-based technology with an FDA indication for non-invasive tissue lift, which was acquired by Merz Pharma in2014. This led to the creation of Actisound. Our ambition is to help people to live longer, healthier, and better lives and we believe Actisound, the newest product from Guided Therapy Systems will really help people achieve this. OPN: How does it work and what are the benefits for both the patient and the surgeon? MS: By using intense therapeutic ultrasound (ITU), Actisound quickly alleviates pain relief and can repair musculoskeletal injuries. This non-invasive treatment performs similarly to a very fast, efficient, invisible scalpel deep below the surface of the skin. 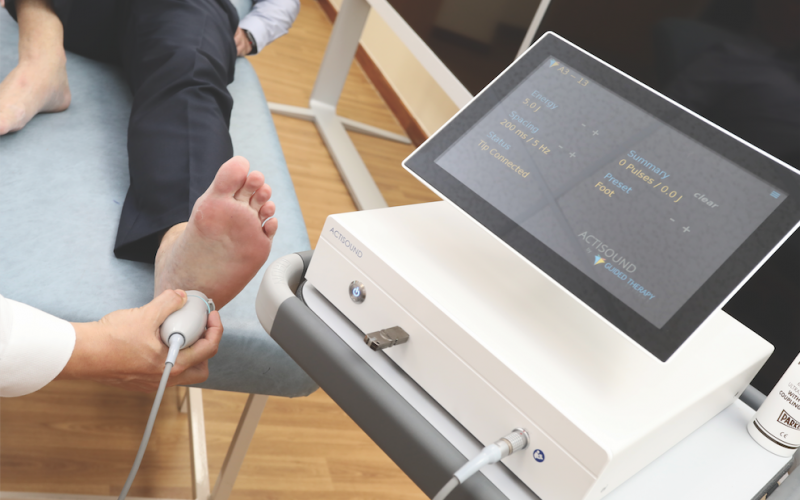 The device’s focused soundwaves deliver small thermal ablations to tendons, ligaments, and other soft tissue to stimulate collagen growth and the regeneration of connective tissue, while sparing intervening tissue where indicated. As a result, physicians can deliver treatments directly to the point of injury – up to depths of 15mm – without opening the patient. The entire procedure takes less than 10 minutes and can be carried out in an office or clinic. For patients, Actisound works without the complications or recovery time associated with other invasive treatments such as injection therapies and surgery, which can be very painful and often require significant recovery time. OPN: How could this affect the shape of surgical practice? MS: The reality is surgery often can have complications, there’s long recovery periods, and it is expensive for both the practice and patient. A move to a non-invasive treatment option enables practices to treat patients more quickly and will reduce the cost faced by both parties. Ultimately, it’s about improving processes and integrating innovative technology, which has multiple benefits. OPN: What obstacles have you encountered, if any, to get the CE Mark to allow medical professionals across the UK and Europe to treat musculoskeletal injuries? MS: We’ve managed to achieve the CE Mark without any obstacles. We’re now in discussion with medical professionals across the UK andEurope to roll out the device for patient treatment. There are some exciting developments on the horizon. 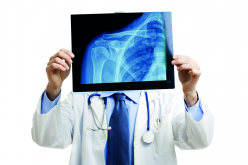 OPN: How do you think the future looks in the field of orthopaedics? MS: There are so many innovations currently under research and development that it’s hard to say. Great progress has been made in the fields of energy-based devices, pharmacology, and even work combining the two, which could yield very promising results in the near future. In addition, researchers are making great strides to harness our body’s own genetic makeup for its healing and regenerative abilities. There is a lot to be excited about. 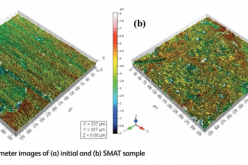 Will surface nanostructuring improve the performance of titanium in orthopaedic applications?